It’s no secret that science is intimidating. The test tubes, white coats and field-specific jargon paint a picture of a field that’s difficult — sometimes too difficult for some people to imagine themselves being in. 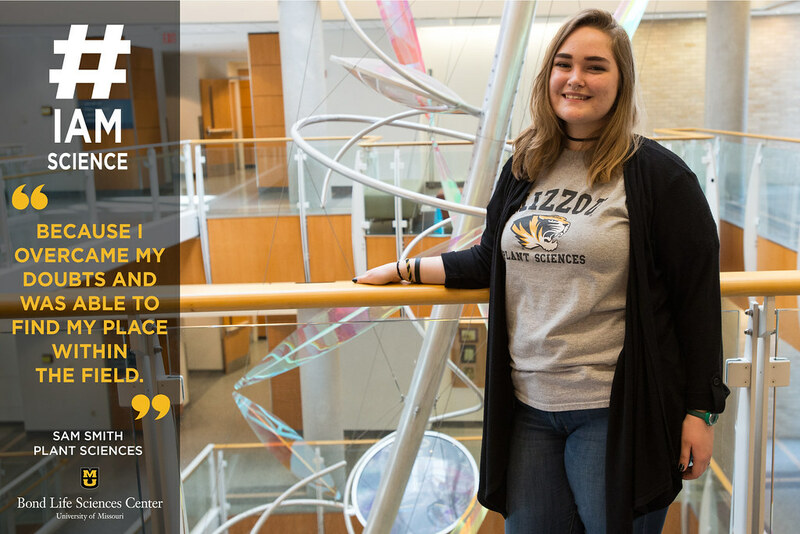 Sam Smith, a freshman studying plant sciences through the Freshman Research in Plant Science (FRIPS) program, knows this feeling all too well. She grew up in Bethalto, Illinois, a municipal village that’s about half an hour outside of St. Louis. “I thought science was cool, but I didn’t feel like I had any space in it,” Smith said. That is until she figured out exactly where she fit, leading her to join Walter Gassmann’s lab at Bond LSC and having Chris Garner as her mentor. Right now, Smith works with Arabidopsis thaliana to better understand the immune response of plants. Plant immune responses are important because they can help scientists like Smith to better protect the plant from disease. And that will lay the foundation for future applications with other plants. Being a freshman, Smith acknowledges the impact of FRIPS and research on her experience thus far. For the future, Smith plans on continuing her research throughout her undergraduate career. However, she would love to see more students pursue research because it’s not as challenging to get started in as it might initially appear.